The Caribbean is one of our favorite places to go – whether we are traveling on our boat or seeking a luxury resort vacation. 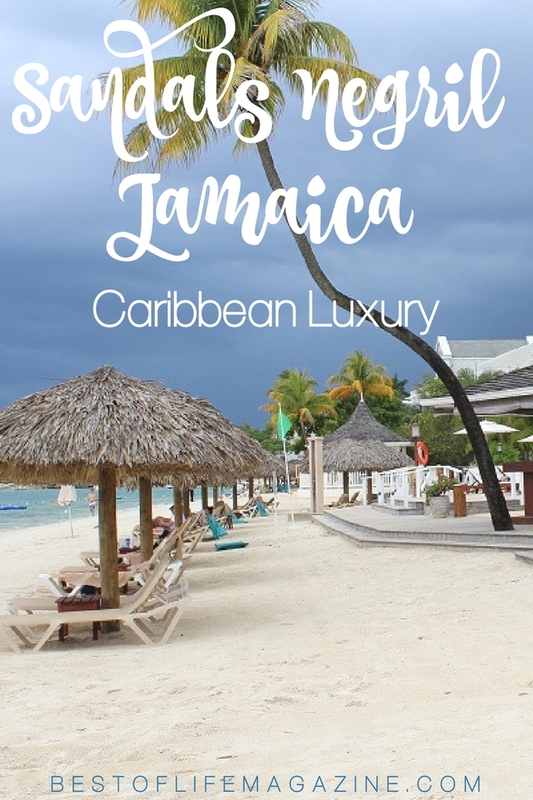 Our recent stay at Sandals Negril Resort was the epitome of Caribbean luxury – barefoot of course. 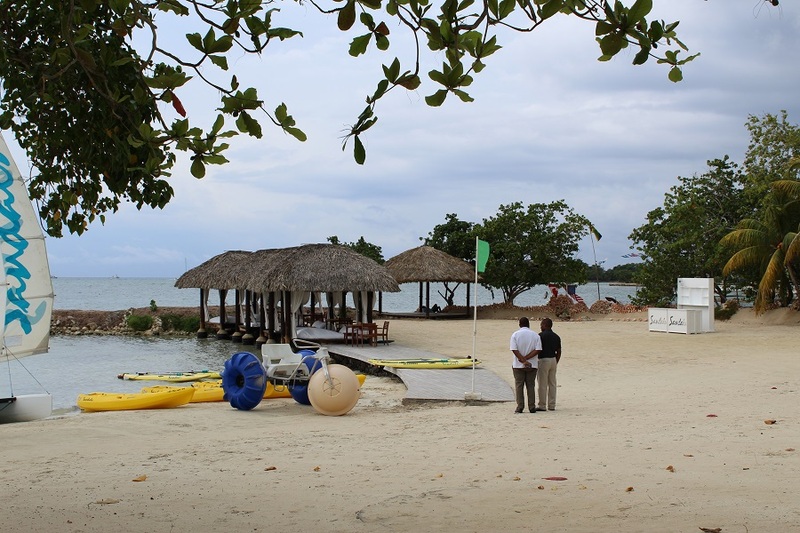 This posh resort is located right on Negril’s famous 7-mile beach, and we were already anticipating playing in these beautiful waters. Traveling is fun but you need the essentials. I never leave home without my favorite luggage, the camera, comfy shoes, and of course I take a Hydro Flask because keeping my drinks at the perfect temperature is no easy task! Sunscreen is also great for summer travel and Caribbean experiences. Experience casual, barefoot, Caribbean luxury at Sandals Negril Resort with the best Caribbean travel tips that will enhance your experience. One of the perks of Sandals is the included transportation. No need to hassle with getting an expensive taxi ride from Montego Bay to Negril – it’s included. As we made our way from Montego Bay to the resort, we passed through colorful settlements scattered like small clusters of colored gemstones along the coast. Palm trees and Jack Fruit trees were in abundance. Glimpses of the ocean could be seen briefly on our hour drive to Negril. Smiling faces greeted us as we descended from our vehicle. “Welcome to Sandals Negril, Welcome home,” said the beautiful young woman as she handed us a cold towel to wipe our hands and face. 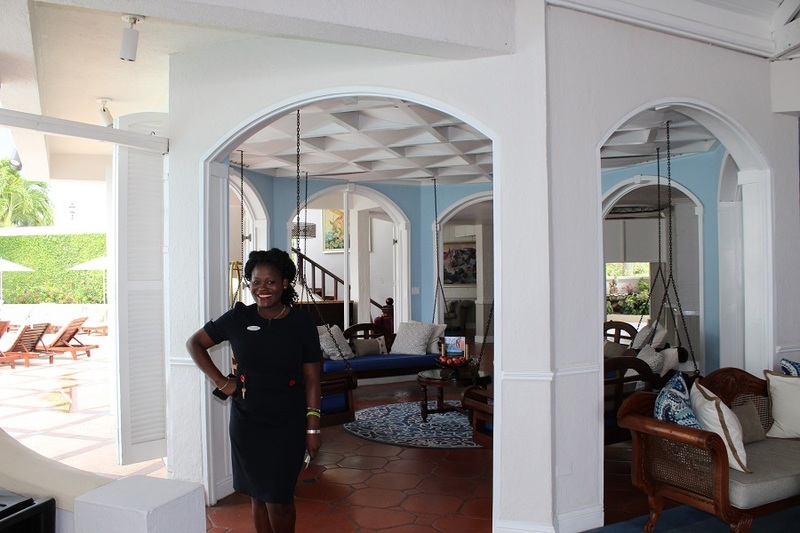 “Welcome home” was echoed as we were offered refreshing drinks and escorted through the open-air reception area, upstairs to the Sandals Club lounge to await our butler for check-in. Sipping our refreshing rum punches, we were startled out of our relaxation by a joyful voice proclaiming “Welcome to your home away from home. I am Basel, your butler.” As we turned around, a tall, thin man with a huge grin greeted us. Wearing white gloves, a gold-colored vest, shirt, tie and tails, Basel emanates a wicked sense of humor and joy. “Let me show you our property as we walk to your suite.” Leading us downstairs, our tour, and our vacation begins. Showing us two of the bars, two of the pools, Bayside, the main dining area, and the beach, with its collection of beach lounges and thatched umbrellas, standing like sentinels, we slowly make our way to our loft suite. Our suite is directly on the beach – walk out the door, across the walkway, and you are on the beach. 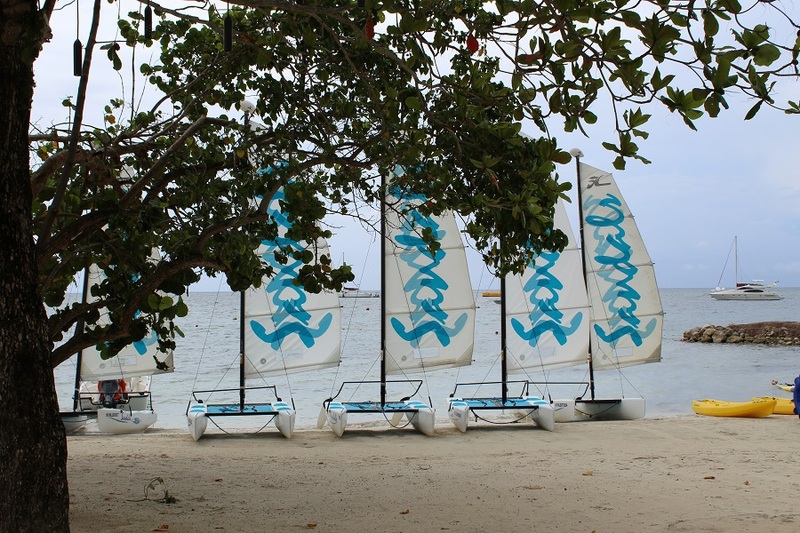 A collection of water toys – Hobie Cat sailboats, paddle boards, kayaks, and even a water trike are waiting for you to come and play. Our suite was breathtaking! An outdoor table, chairs, and umbrella sit on the patio entrance to our suite. The front wall and door are glass, allowing lots of light. A sink, refrigerator, and bar area with a collection of top-shelf liquor, mixers, and wine dominates one wall and points upward to a wrought iron and gorgeous wood suspended staircase leading upstairs. A small table with two chairs, a sofa, and overstuffed chair and ottoman are on the other wall. 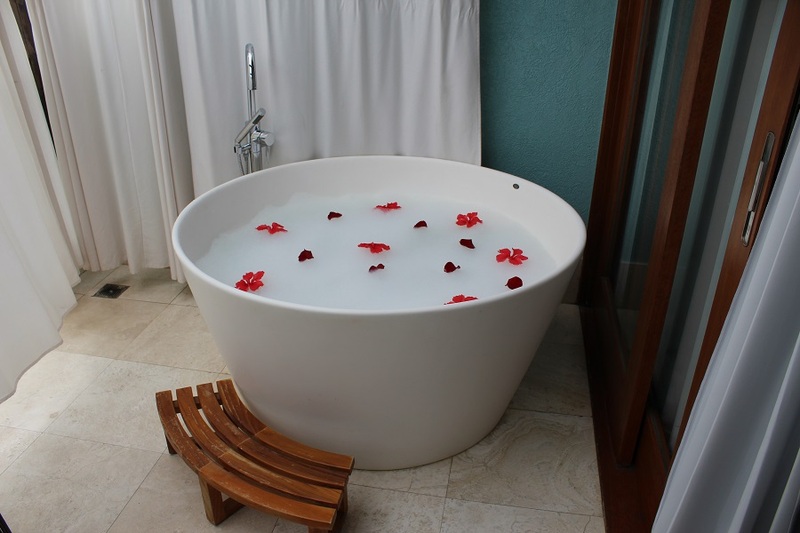 Heading upstairs, we come to our bedroom and bath. A mahogany king-size bed dominates the room, and hung on the opposite wall, a television. A large sliding glass door opens to a balcony overlooking the beach, with a table and chairs and an outdoor soaking tub. For maximum security, the curtains can enclose the balcony – a nice feature, designed to encourage romantic evenings. Our master bath was huge! A wet room, incorporating a large walk-in shower with dual rain head showers and a deep tub are very welcome features. Many resorts and hotels only have showers, and after a long day of beach time, a long soak in the bath is appreciated. Opposite the wet room is a trough style sink with double faucets and a long, wide shelf under a huge mirror with bright lighting. A nice deep walk-in closet with plenty of built-in drawers completes the bath. If you are in the mode of total relaxation, Sandals has you covered. Wander down to the beach, grab a couple of lounges, and relax the day away beachside, while sipping on your favorite beverage. The water will beckon you as the sun sparkles upon the turquoise sea. There are swim platforms just waiting for you to come in, climb on and just hang out. You might even meet a new friend or two. Water loungers, which are like hammocks, supported by a floating ring, are another great way to stay cool and soak up the rays. If adventure fun is more your style, grab a paddleboard or kayak and head out for some cool exercise. Not sure how to paddle board? 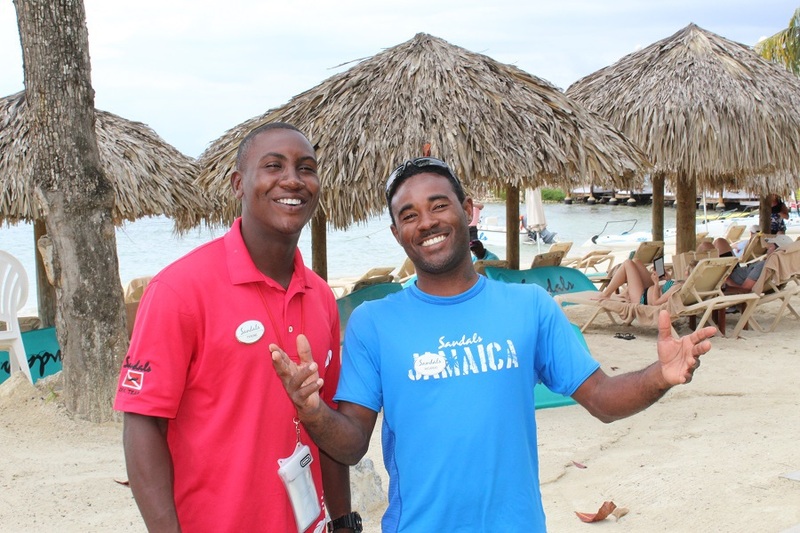 Ask one of the friendly watersports staff – they are more than happy to teach you the basics. And if you take a tumble or two in the learning process? Don’t worry; it’s a great way to cool off! If you have always wanted to learn how to sail, then talk to the sailing instructors, and they will give you an introductory lesson on the Hobie Cat sailboats. These fast little boats are a blast to sail, as you skim over the wave tops, sea spray flying. If you look around while you are sailing, you might spot rays, sea turtles, or even a dolphin playfully chasing your ride. If you love exploring under the sea, Sandals offers two complimentary dives a day for certified divers. Not a certified diver? No worries! Another option for non-diver is SNUBA. SNUBA is a fantastic way to see if you will like diving. You dive down about 35-40 feet, hooked up by a regulator and air hose to a tank floating on the surface. You have all the freedom of diving, tethered to a surface tank. It is a blast! You will see sea fans, parrot fish, clown fish, and puffer fish around the reef. You may spot a ray or two, maybe a grouper, and if you are lucky, you may spot a shark or two. You have a professional dive guide with you during your SNUBA time below the surface. Not Just One Resort, It’s Two Resorts! 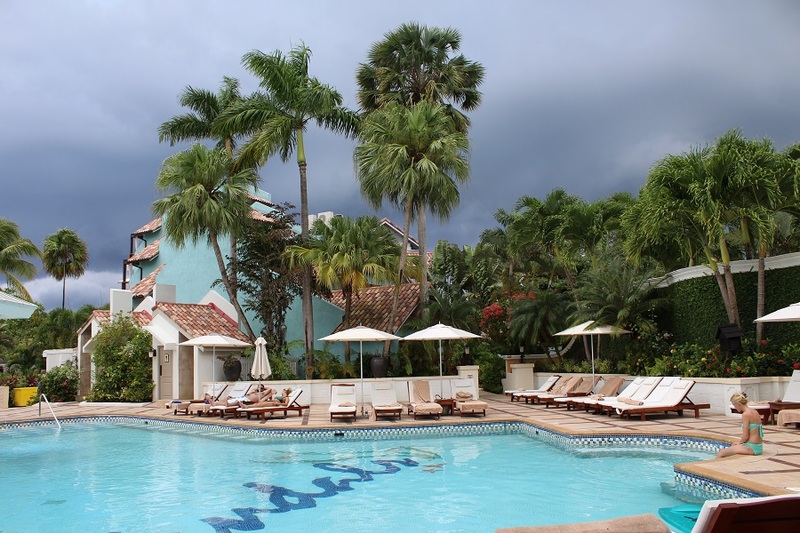 Sandals Negril is designed for couples; Sandals Beaches Negril is for families. 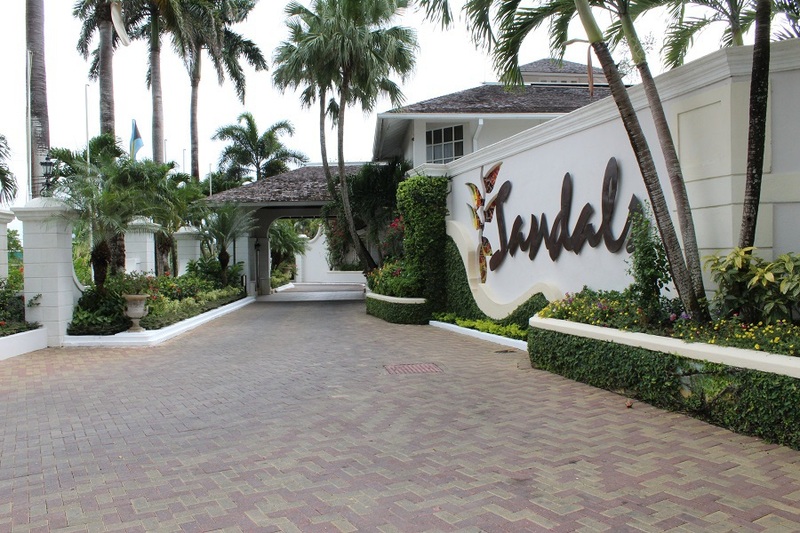 These two resorts are within a 15-minute walk of each other, and with a day pass, Sandals Negril guests have access to everything at Beaches Negril. Sandals Negril offers seven restaurant venues, including Italian, local Jamaican, Japanese Tepanyaki, Pizza, and Burgers. 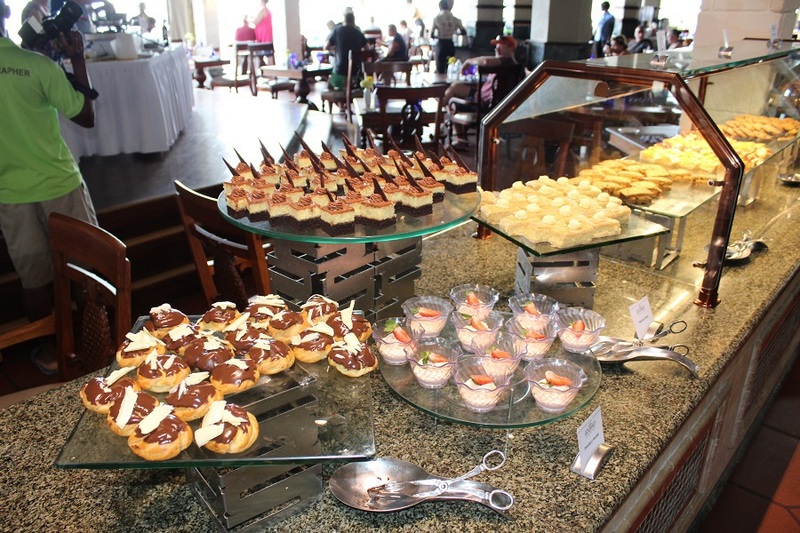 Beaches Negril offers nine dining venues, including Italian, Caribbean & Jamaican seafood, wood-fired pizza, Mexican, BBQ, French Patisserie, Caribbean-style buffet, and Japanese Sushi. Between the two properties, you have a choice of 16 different restaurants! 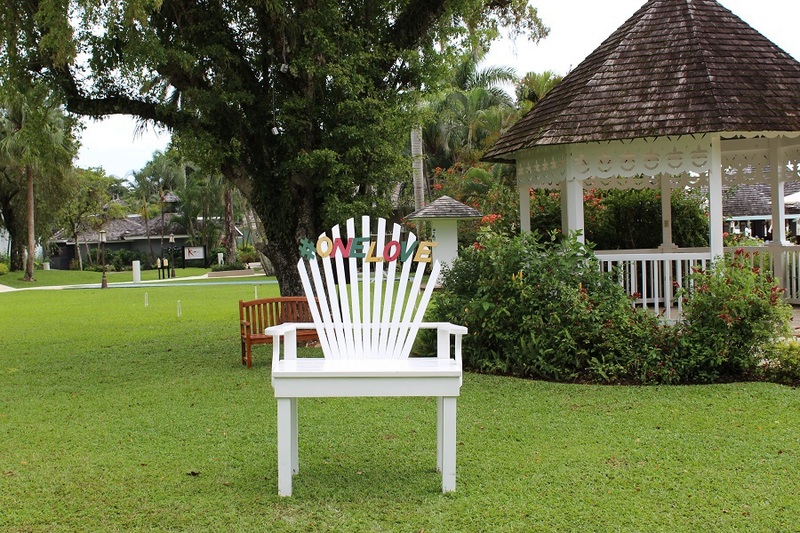 With all of these options, Sandals Negril is the perfect place to spend your next romantic getaway vacation! 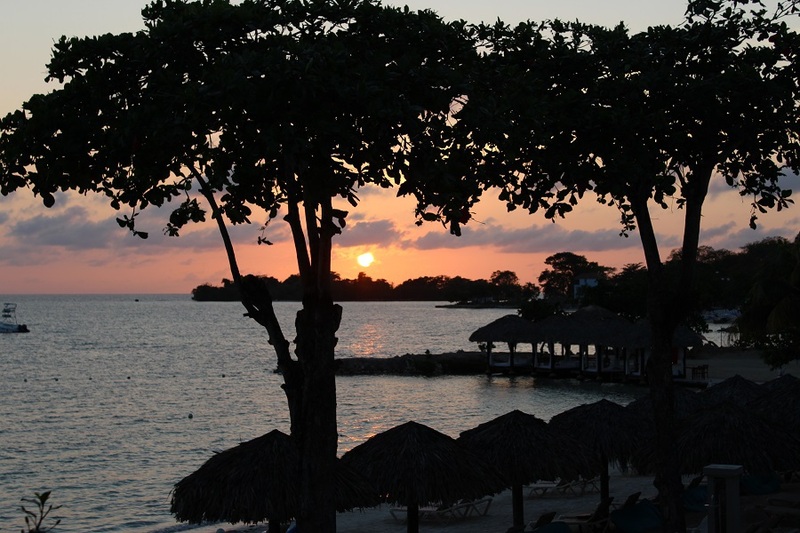 We love the laid-back casual atmosphere of Sandals Negril, and can’t wait for our next vacation! We are booking our wedding at Sandals Negril right now..so excited! Great review!